Gone are the days when fishing was only considered to be a commercial activity. It would involve sailing in huge ships and boats and casting nets in potentially rough oceans and lakes. That is what fishing was all about. However, with time fishing has also developed into being considered a recreational activity. Aside from the commercial aspect, you can also undertake it as a part-time activity. All you would need is a basic understanding of the best conditions for a successful fishing expedition. This involves factoring in the environment and the equipment. This article is going to inform you more on the workings of the equipment, while paying special focus on a spinning reel. To begin with, you should know that there are different types of fishing reels which operate distinctly from each other. The users of these reels will determine how to put them into use. This type is the easiest to use. This may explain its huge popularity among re recreational fishermen. You will find this type to be similar to the Spinning Reel in a number of ways. However, the gears and parts are enclosed such that your accuracy as well as the line you can cast would be severely limited. Baitcasting reel is not for amateurs and novices. Your technical prowess should be high enough to deal with the spool that keeps on turning every time you cast your fishing line. This one is also quite difficult to use and may be one of the reasons it is normally employed in catching the bigger fish. Now that you have known the different fishing reels available out there, we feel that you should also know how a Spinning reel works since it is the most popular of them all. It has been in existence since the 19th century and therefore this means that a lot of information regarding its workings, starting from the set up, is available. For a successful expedition, there are some equipment that you must have .They include Spinning reel and rod, a fishing line, a bait or hook and a pair of scissors. All the equipment have different uses and we recommend that you do proper research on each item to ensure you get the correct ones to suit your needs. This is normally where you wound the fishing line around. This metallic arm determines whether the line can or cannot come out of the spool. This controls the line which comes out of the reel. This piece connects the rod to the reel. When the bail is closed, this part allows you to determine the ease with which the line can come out of the spool. It directs the line from the spool to the rod. 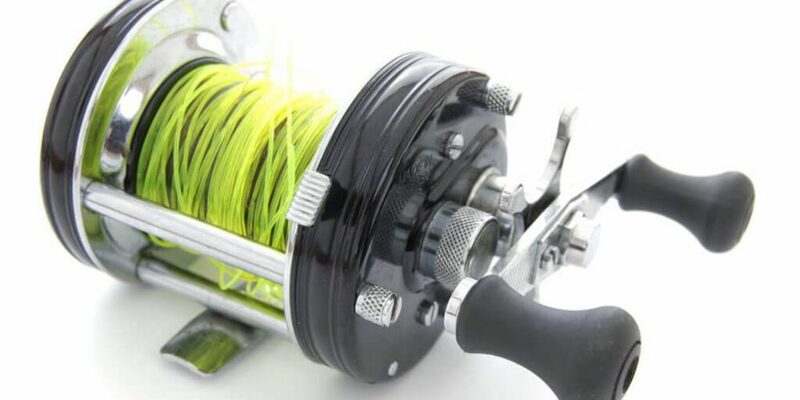 Apart from the reel, it is also important that you familiarize yourself with the parts of the rod, namely; the rod tip, the guides, the reel seat and the handle. The first step is ensuring that the reel seat is loose enough for the reel foot to fit in. Then, you will insert the reel foot into the reel seat before finally tightening it (Reel seat). Ensure that the reel does not wobble at the reel fastener, otherwise repeat the steps above until it is tight enough. Spooling the reel is simply putting the line on the reel and not focusing well on this step has the potential of ruining the whole fishing experience. The type of reel you are using will determine the amount of line that you will need. You would be lucky to find that your reel has a “Line cap” on its side, which would specify the limit on the amount of line needed for that particular reel. In this step, hold the end of the line with one hand, while opening the bail arm with the other and then slide the line through each of the rod guides. For effective attachment, start from the bottom and finish at the tip. Also ensure that you do not let go of the line, lest it falls back through the guides. When it comes to the knot, it should be basic and simple for your own peace of mind. It would also save on time. However, if you are going for heavier and bigger fish, you should make the more complicated knots. At least this would ensure that nothing falls apart during fishing. Once you are done with the knot, now proceed to setting up the drag knob. You will need to consult widely so as to understand just what to send your drag to. In case you find yourself on your own, just settle on the loose side as excessive tightness can result in the line breaking while reeling in a fish. To cast the bait, let the line hang from the tip of the rod. As one hand holds the rod, the other hand should be opening the bail. Hold the base of the rod and lean it (rod) away from your target. Swiftly swing the rod in the direction of your target. You will probably miss your target for the first few times. There are different ways you can reel in. All these ways will depend on what the fish want. These preferences tend to change as time goes by. These preferences are influenced by a number of factors such as the weather, water temperature and time and so on. If you have followed these steps carefully and thoughtfully, then there is nothing stopping you from enjoying a wonderful fishing expedition.